Ever since we first opened up shop, we have guided this family owned and operated business with one single guiding principle in mind, that as a consumer you have the right to choose where you spend your money. That’s right, you, and not your insurance company trying to force you to go where they want you to. It is your car, and you should take care of it however you want. Here at Express Collision Center we believe first and foremost in helping you, the customer, and not the insurance companies. Our service shop opted for any insurance company’s preferred programs so we could put our customers’ needs completely first; there will be no conflict of interests here between you and the insurance companies. Our focus is to protect your investment, rights, and safety. When you choose Express Collision Center for collision repair you will be getting the best, most honest dealings with all your options available to you before we start working. 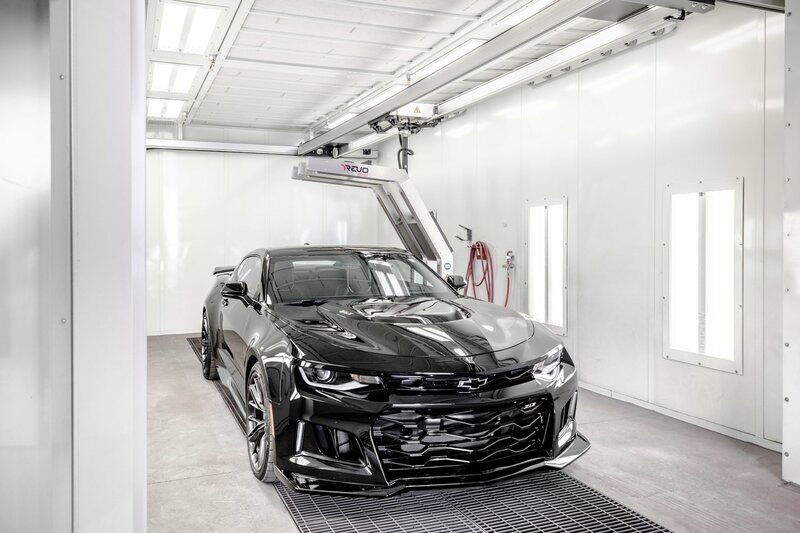 If our way of running an auto body shop sounds refreshing, although not to common in today’s world, remember we have been leaders in the collision repair industry ( often consulting with other auto body shops) for nearly half a century. We have built our business just by word of mouth from our satisfied customers completely without help from insurance referrals. We believe there is still something to be said for hard, honest work and genuine customer service. At Express Collision Center, we are fierce consumer advocates with many many years experience in negotiating auto repair claims that protect and educate the consumer. We handle all makes and models, and our technicians our trained and approved by General Motors, Audi, BMW, and Volkswagen. We handle repairs for body reconstruction, painting, and even restoration of classics. Whether you need your car fixed up after an accident or just want to spruce things up again, we are there to help. Just bring your car on down to our shop at 5450 Desert Point Dr., Las Vegas to see what we can do for you. Now that you’re here and have had the brief introduction, take a look around our site to learn more about how we can help you, or if you are already sold, give us a call at (702) 676-2010 today or just swing by our shop so we can start getting your car back on track and your life with it. Call Express Collision Center. You’ll be glad you did.